Cape Town needs no introduction and might be high on most people’s wish list. And there are all the right reasons if you have it on the top of your list. The place left me with surprises beyond imagination. I always wanted to visit this place, but I never thought that it will leave such a mark on me. I remember how much I just wanted to stay there for longer. Believe me or not, I even considered moving there for a while after I returned. The city is beautiful with amazing weather and a very chilled out feel. The culture, the landscape, the people, all perfectly at one place. On top, it can be a choice for a budget travel destination if you can manage the flight (as that is the biggest expense for most). If you are traveling from Europe, no time difference, no jet lags. And even there are so many people visiting this city each year, there are still so many hidden gems and places of interest that you can only explore with a bit of local tips and tricks. I was lucky that I met some local colleagues there who could guide me through. The city has so much to offer that you should plan for at least a week if you are visiting. But, best is to have a bit more time and also visit some of the areas around and the country side in South Africa. I was not very lucky with extra time as it was my work trip, but still thankful that I could take some days off and get in to the feel of the city. 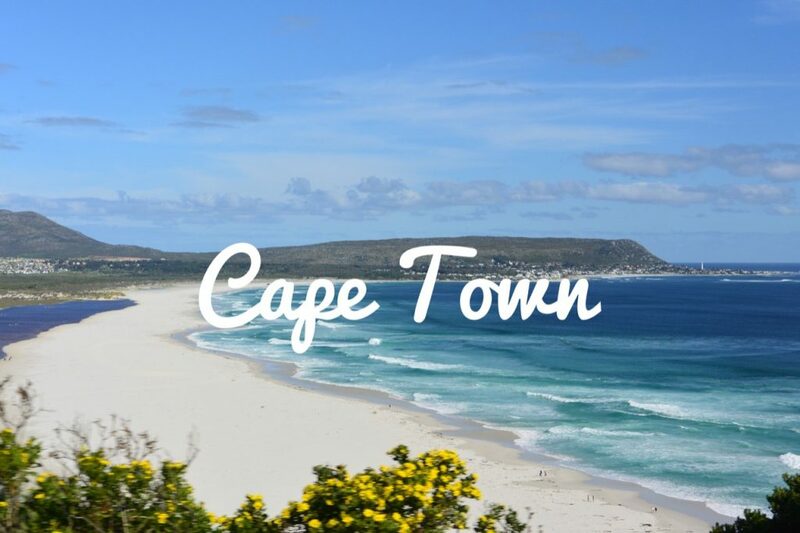 There is so much you can do and see that I can just go on and on and on… but, to make it easy for you, below I list my Top 5 things to do while visiting Cape Town. This was something always on my list and I am glad I could do this at one of the best places to spot whales. Whales are a magnificent creature. All my life I only knew this creature from books or screens. But getting so close was an experience for the lifetime. 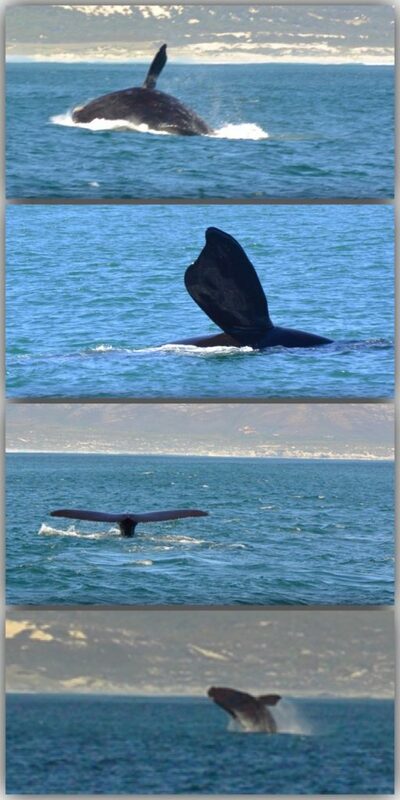 If you are visiting Cape Town during the months of whale spotting, this is a must on the agenda. 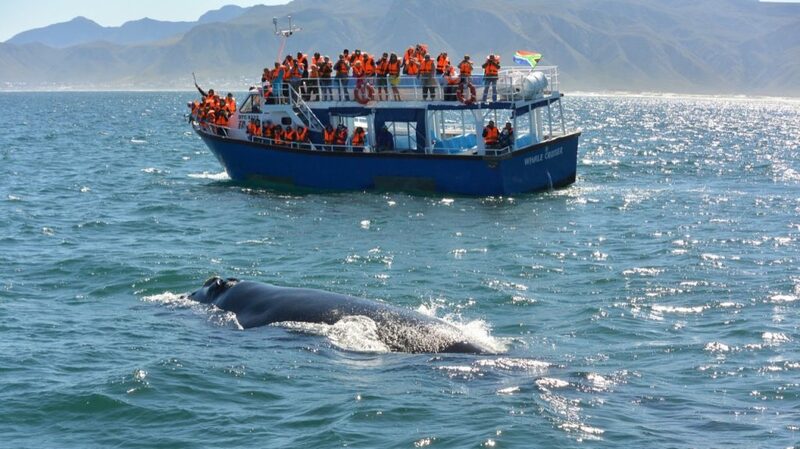 Whale watching season (close to Cape Town) is between July till Nov (best months Aug/Sep/Oct), and you can be sure to spot plenty of them splashing and breaching. Actually, this is one of the very few places in the world where you can spot the whales from the shore. Yes, exactly! I could not believe this when I read this before my visit, but I was pleasantly surprised to spot them while sitting in a restaurant on the shore enjoying my meal. But, I also did take a boat ride to get close to them and got wow-ed. I remember how nervous I was when our boat was approaching the first whale we could spot. I was just imagining that enormity and massiveness of a creature so close to our not-so-big boat. To be honest, I could feel butterflies in my stomach. But, the moment I could see the first whale in the water next to us, I guess I forgot everything else around me and could not help appreciating beauty and glory of this creature. I went whale watching with The Southern Right Charters and would totally recommend them. They will take care of the pick and drop from your hotel in Cape Town via a company they work with. The town is around 2 hours’ drive from Cape Town. 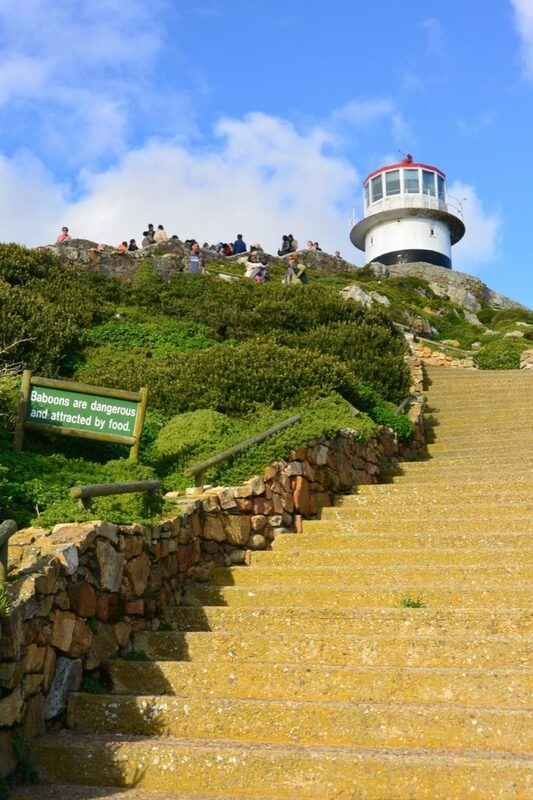 You will be picked up from your place and then drive via the scenic coastal route to Stoney Point Penguin Colony, and then to Hermanus for the whale watching. After the trip, you will have some free time to explore the town and then back to the hotel/accommodation. It’s a full day thing (if you get sea sick, take precautions). I would have completely missed this one if it wasn’t for my colleague visiting Cape Town with me and she was very insistent on doing this. I was not too sure, but I joined her. The boat that takes you to the island is the same boat in which prisoners were taken on this island and that already is beginning of an experience. Once you are on the island, you are taken to the jail where the people who were once poisoners in the same very place give you a tour of that place and tell you stories of the time they spent in captivity. You can imagine that some of them spent so many years at this place that once they were freed, they had nowhere to go and no family to look after. And for some, this place is now their home and people there, their family. You are also taken to the cell where Nelson Mandela spent 18 years out of his 27 years in prison. Sometimes people also refer to Robben Island as “nelson Mandela Island”. You have to be extremely strong hearted to not be left in tears by the end of this tour. And even though it was sad, I believe such things make us value the life we have been given more and appreciate the freedom we have. Besides this, you can also walk around the island, appreciate the calmness, and spot some amazing birds and seals at the harbor. If you get sea sick easily, do take precautions before the boat ride. Now this is one of those things that probably will be on your agenda any ways. But, let me mention this again. You gotta do this. 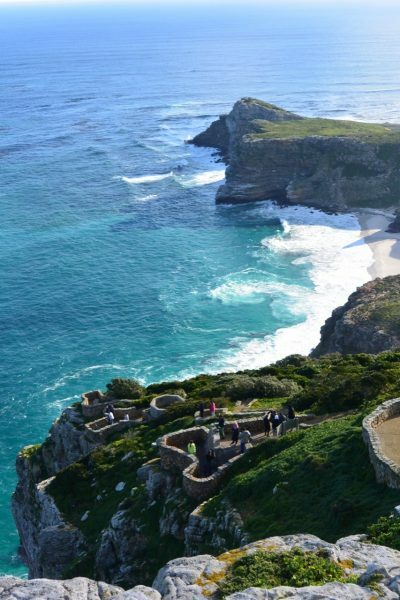 It is so magical and breathtaking to visit the Cape of Good Hope. Not only for the views, but also because of the animals you would be able to spot on your way. If you are lucky enough, you can spot Eland, Ostrich, Zebras, Baboons, Seals and some interesting sea birds. Note: Cape of good hope is not the southern tip of Africa. The southernmost point of Africa is Cape Agulhas. Now this one might not attract you that much if you have been lucky enough to experience the real jungle safari in Kenya, Tanzania or somewhere else in the wilderness of Africa. But for me, as I never experienced a jungle safari before this, it was a very exciting experience. 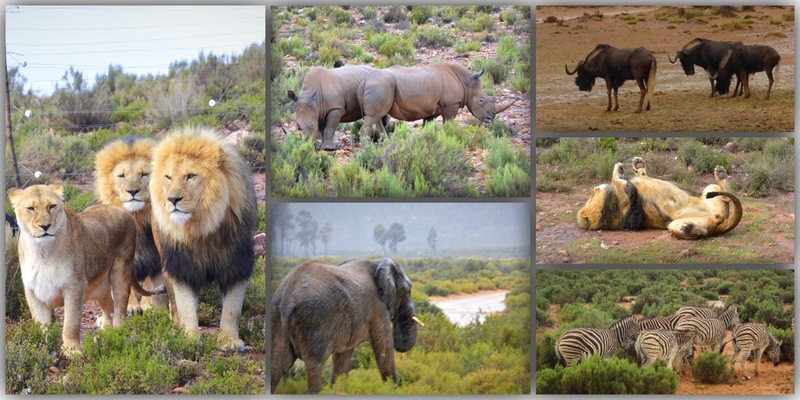 There is no real wild jungle safari on a day trip distance from Cape Town but there are some private game reserve safaris that you can do in a day, and can spot the Big 5 (African Elephant, African Lion, African Leopard, Cape Buffalo, Rhino). 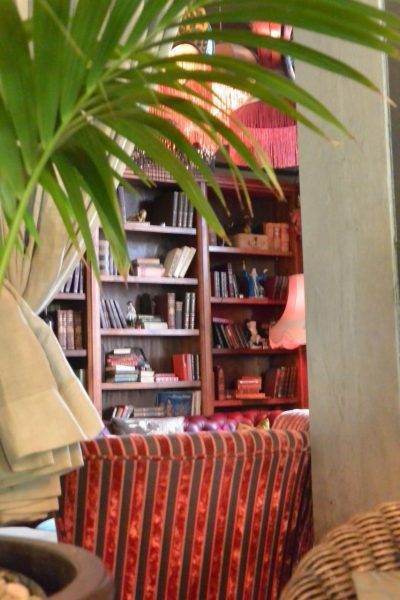 Usually you will be provided with the pick and drop from your hotel/residence in Cape Town. I did the one with Aquila Game Reserve and loved it. You can even stay overnight there. 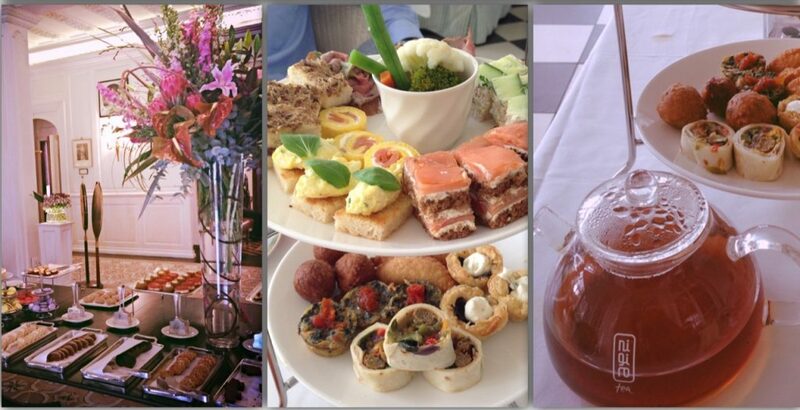 Cape Town is heaven for foodies like me. 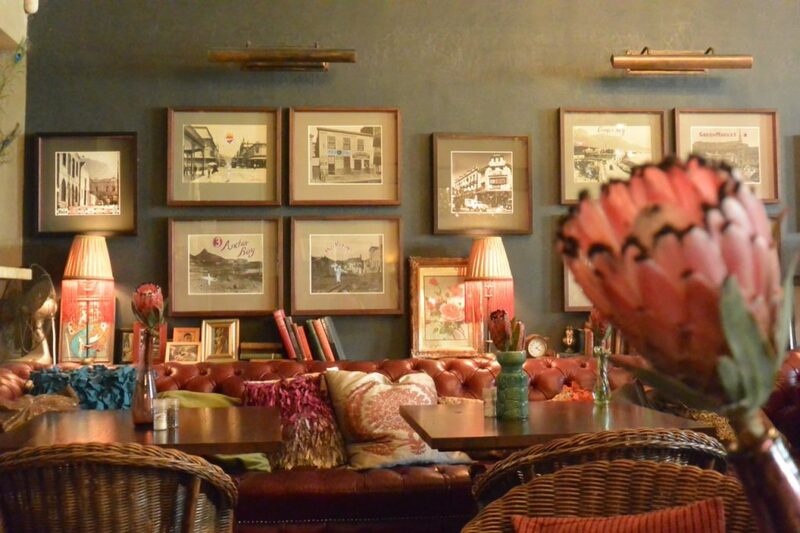 The restaurants and cafes in Cape Town are just on another level, It is hard to match the overall ambiance and design. And not just this, they will provide treat for your taste buds that you will remember for a long long time. If I have to pick one of my top favorite cities for food offerings, Cape Town definitely will be in there. Also, visiting from Europe, it was amazing to see how you get such amazing quality food for such affordable prices. 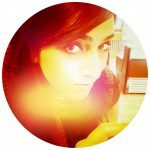 I am listing below some of my top favorite restaurants (few recommended by local friends). Note: Do reserve well in advance as some of these places are pretty famous not just among visitors, but locals as well. Other than these, do take out some time to go shopping in some local markets that are often happening at open squares. You will find nice souvenirs and African art collection. You cannot miss the stroll at the Camps Bay and going on the top of the Table Mountain. And if you want some action, you can also hike up to the Lion’s Head. Generally, we were two girls and we felt pretty safe during our time in Cape Town, but we were also very careful, and followed the tips and warnings given by our hotel staff. So, with a bit of care and planning, you would have absolutely no issues in visiting this amazing city. For commute, use official taxis only or even better, Uber. If you can find a taxi via your hotel from someone they know, you can keep the driver’s phone number and can always go around with the same driver. Usually, the cab drivers are happy to do that and be there at your pick-up spot when you need. The taxis are not expensive in Cape Town. If you are a girl traveling alone, do not engage in conversations with the cab drivers or random people on the streets unless needed. Do not walk around on empty streets at night time. Absolutely DO NOT use ATMs at night time. Winter time in Cape Town can be quite cold and windy. Note: Outside of Cape Town, and in other cities in South Africa, things could be different, and you might need to take a lot more care. I mention everything based on my experience in Cape Town. And while we did those day trips around Cape Town, we were all the time with the host company. I hope you found this post useful and are ready to ROCK CAPE TOWN!!! Yesss I want to do all of these things!!! Cape Town is definitely high on my list. Can’t wait to visit! 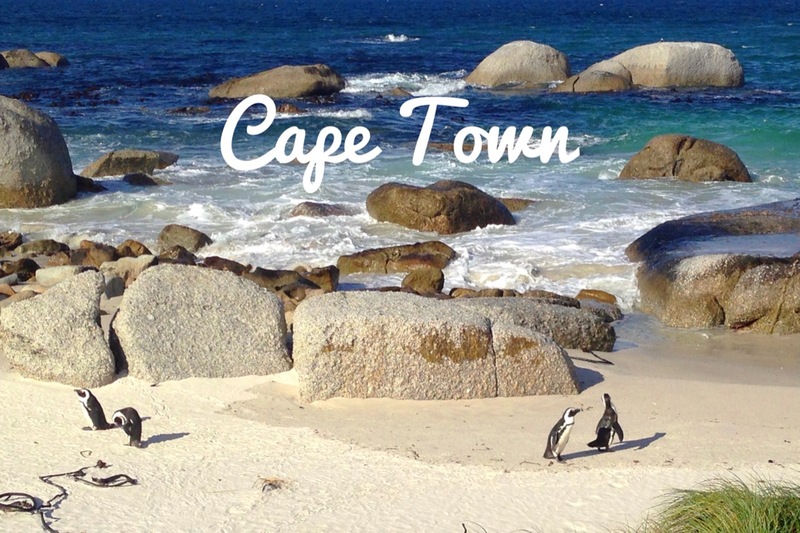 I’ve been hearing more and more about Cape Town, and that’s it- you’ve convinced me to go! It looks like such an amazing place for adventure, and oh my goodness! Those cafes? I’d love to have that hi-tea!